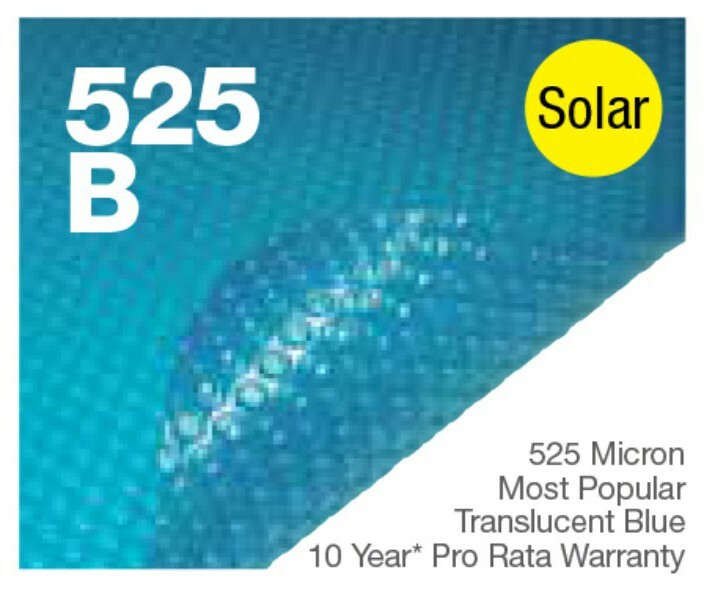 A premium choice for maximum durability, the Daisy Series 525 solar pool covers are our top-of-the-range and the most popular of the Daisy pool cover range. It features Daisy’s trademarked UltraDomeTM technology to last longer and outperform all others in terms of insulation and protection. • Warms your pool by up to 8˚C for free. • Save on water, up to 10,000L per month. • Reduces evaporation by 97%. • Reduced heating costs and heat loss. • Helps keep out dirt and leaves. • Reduce salt and chemical use by up to 50%. 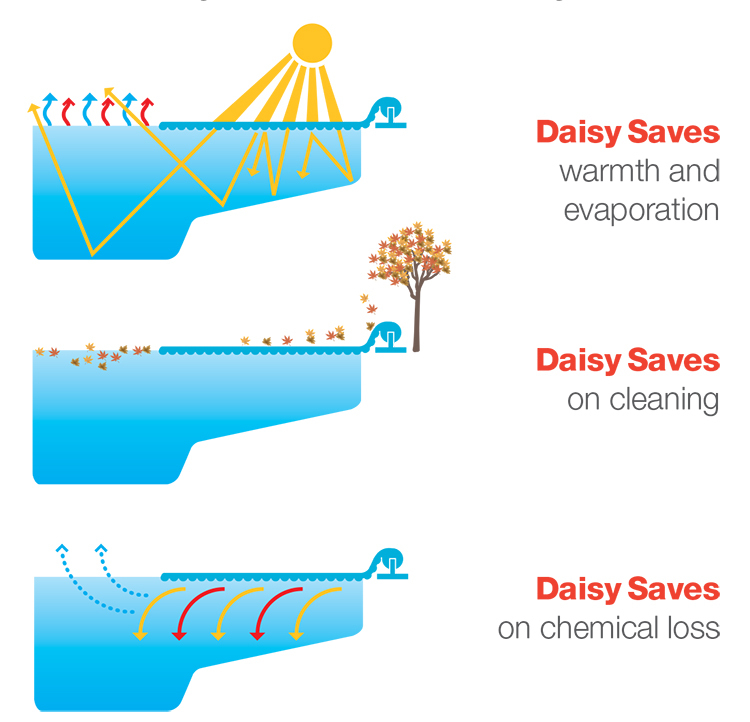 A Daisy Pool Blanket provides a physical barrier to evaporation. It covers the pool surface like putting a lid on a jar. It can’t be totally watertight like a jar lid, but a properly fitted pool blanket is so effective that it stops 97% of evaporation. A properly fitted and used Daisy Pool Blanket will result in a pool that is significantly warmer to swim in. Up to 8oC warmer. If your pool is one of a growing number that is heated – a Daisy Pool Blanket can reduce your heating energy costs 50 to 70%.